You’ve put a ton of effort into building your online store, you know the product’s great, but you’re stuck. At the end of the day you just feel a little exhausted – too much to think of new and brilliant marketing schemes. But we’ve got your back! We’ve put together 85 ideas to boost your online store when you just can’t even. Scroll to the bottom for a free printable checklist. 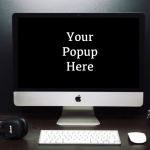 Optimize your popups – tweak your popups until you’ve found the best possible results. For example, change the amount of time that goes by before your popup appears, or offer different popup messages for different pages visited. Add reviews to your product pages – video reviews are the best – have a skype call with your best customer, then record it. Try selling on other platforms – A significant portion of the ecommerce market is taken up by other sales marketplaces. For example, in 2015, online buyers have spent $223 billion on Amazon, and $78 billion on Ebay. Tweak your about page – add photos, make the story more compelling. The more details included, the more personable you seem, the more likely your visitors will trust you. Update your shipping and returns page – to create trust with your customers (which then leads to more sales), write a detailed description as to what they can expect in terms of shipping and returns. We’ve created ready-made shipping and returns policy copy that you can paste into your website, based on what Printful offers. Update your Meta descriptions – find a free SEO plugin and add your descriptions that would really convince your potential visitors to choose you, when they’re searching for a similar product in Google. Optimize your website for mobile use – 50% of all ecommerce traffic comes from mobile devices, and it’ll boost your SEO rank. Test your checkout process – does everything work smoothly and quickly? Upsell your products – suggest another product at checkout, or give a list of stuff other customers bought. You can easily find upselling or cross selling apps in your platform’s app stores. Install a retargeting pixel onto your website – then create ads on Facebook retargeting people who have already visited your website. They’ll also be more likely to make a purchase. Learn how here. Activate/get an SSL certificate – some platforms have them built in, like Shopify and Ecwid. They’re important, as they protect your customers’ data. Visitors are more likely to buy from you if they feel like the payment will be secure. Search Google about how to get one. Create bundle products – For ex. Buy the bundle of 2 t-shirts and get a certain deal in return. Put your shipping policy straight into your product descriptions – address shoppers’ doubts right away, and see how it’ll increase your conversions. Read through all of the copy of your website to check for typos – the easiest way not to undermine your professionalism. 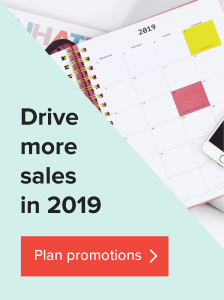 Offer free shipping to whoever signs up to your newsletter – thereby creating a win-win situation – you get a new email subscriber, and the visitor is more inclined to make a purchase. Update your “thank you for ordering” page copy – put some personality into it. Add a signup bar to your page – use SumoMe (free) to add a subscription bar at the top of your website, so that people can sign up to your newsletter. Add a color to a best-selling product – if you’ve got an obvious best-selling product, consider adding a new variant to it. Like offer it in a different color, or on a hoodie. Add a new product – add a new product category to boost sales. The most in-demand products in Printful are t-shirts, posters, and mugs in 3rd place. Add new sizes – for example, if you’re selling posters or canvas, try expanding your size range. Create a new design – give your existing customers more of what they want from you – more epic designs! Grab a sketchbook, some green tea and head to your happy place. Experiment with Google Adwords – place an ad with Google Adwords. See if it yields good results. Some online stores find that Google Adwords work better than Facebook ads, and vice versa. See what works best for you. Open a pop-up shop – when you don’t know what to do with your online store, take your store to the streets! Order some inventory (samples come at 20% off with free shipping worldwide), and sell your products in the real world. For example, attend a fair, give a store some of your inventory to sell, etc. Create a digital product – downloadable wallpaper, phone background, ebook, course, calendar, to-do list, etc. Offer free shipping – this is a huge bonus for customers and gives them more incentive to buy. Place a $10 advert in Facebook – even if just to try it out. Here are some examples of Facebook ads that convert well. Target a niche – Take one of your products, think of a very specific niche of people who would like it, and create a Facebook ad for it. Host a live unboxing video – Facebook live is a completely undervalued tool, film the unboxing experience, for example, for new test orders. Scour the internet for user images – check out Instagram and Facebook looking for hashtags of your products or your website’s URL, use any images to share on social media networks, add them to your product page, create a “gallery” page on your store. Add a call to action to your Facebook page – for example “shop now”, “subscribe”. Learn more here. Write a blog post – most ecommerce platforms have a built-in blog. It’s a shame not to use it, since blog posts are indexed by Google, and therefore can help more people find you based on what you write. 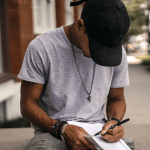 Write a listicle in your industry – people love listicles, and they’re an easy way to write a blog post when you don’t know what to write about. Write/film a how-to piece on something in your industry – how-to articles are among the most shared articles on the internet. People are always eager to learn, write about something you know to teach your audience something new. Brainstorm blog topics – put them into an editorial calendar. Write an article pulling together a list of other companies that complement your industry – When it’s done, write/tweet to them that they’ve been included. Chances are, they’ll share the content, which means that you get seen by even more potential customers, that are hopefully already primed to buy! Tip: Make sure they’re not too big, to increase your chances of being mentioned. Take your best-performing blog post and republish it to Medium – Medium is a great site that has its own set of viewers. By publishing high-quality content to Medium, you can attract even more eyeballs (and therefore future buyers) to your website. Add new transactional emails – go over which transactional emails you already have (order confirmation, order sent out, etc.). Then see what you can add. For example, 30 days after the order you can send out an email asking them what they thought of your product, and prompt a review/testimonial. Link your products with what’s trendy / relevant – search popular hashtags and see how you can connect your product to them. Include the hashtag in your marketing message to make your product more easily discovered. 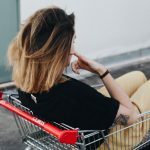 Set up an abandoned cart email campaign – if you don’t have one already, this is a great way to recover sales that were almost completed. You can address their concerns in the email, or offer a perk, like a discount or free shipping. Update your automatic transactional emails – to include more brand personality. Check out the CD baby shipping confirmation email that went viral. Attend a workshop or seminar – update your skills, learn something new. You’ll always benefit from new skills. Join a forum that relates to your industry – see what others are doing, talking about, see what their pain points are. Learn from what they’re asking to create your own product or solutions, or identify yourself as a leader in the industry by offering valuable insight. Attend a trade show – you can learn so much and network with potential new partners. See ecommerce events that we suggested for 2016. Write a business manifesto – put in in a section of your store, make a visual to be shared on social media, or print it out and stick it to your mirror. Show your site to a stranger and ask them what they think – getting an idea of first impressions can be great to understand why you’re in a rut in the first place. Try this exercise – find one of your competitors’ pages, and show a stranger both yours and the competitors. Ask them which they prefer, and why. See what’s working well for your competitors, and how your site could improve. Attend a local Meetup – a great way to get out of a rut is to get out there and talk to people. Find a relevant event in your area and learn and get inspired from others. Make a list of your competitors – subscribe to their newsletters. See what they’re doing, and get inspired. Take an online course or watch a webinar – sites like Udemy and Skillshare are great for that. Create buyer personas – think of what kind of person is likely to buy your product. Use that information to create Facebook ads, landing pages, and more content. Position your product differently – demonstrate them in action – inspire with personal content, make your products relevant to everyone, even for those who think that the product is not for them. Show people from different walks of life using your product. Contact customers for testimonials – place them on your product page. Have a photoshoot – images are SO important for online sales. Try out new settings on your camera, call up your friend and cash in a favor. Or hit up the Printful Photography Services. We’ve found that the best results are when you can offer photos of the products from at least 3 different angles. Plan your brand’s involvement in the next national holiday – or other holiday that’s relevant to your brand. Will you host a sale? A competition? Write a blog post? Holidays a great reason to do something. Create a video FAQ answer for your most common question – post it to your social media pages, and add it to your FAQ page. Send your most loyal customers a gift or card as a token of appreciation – you’ll make their day and you might generate some word of mouth marketing. Search for podcasts about your industry/ecommerce – pitch them to be a guest. 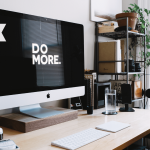 So on days when you’re in an ecommerce rut, and just don’t know what to do next to develop your business, take a look at this list and get started. Because ruts will pass, inspiration will return. But what’s important that in the mean time, you keep going! To make it easier for you, we’ve put together all of these ideas into a printable checklist. Save the link, print it out, place it where you most need the inspiration. #86. Help someone else with their website/shop SEO, new product ideas, critique and often new ideas and inspiration flow in about your own business. I use this almost daily on Etsy, it works! Have someone look at your site with fresh eyes and give their opinion. I enjoy it so much I just opened a new shop ( https://www.etsy.com/shop/HelloChaChing ) to help Etsy shops become successful. That’s a great idea, Cat! Definitely an effective way to get the creative juices flowing. Thanks a lot of great ideas. Great list.Would long scrolling attract people on a site where you’re selling a product? I feel like it might be information overload. Great post. Very helpful in helping know what to do next and stay flexible when it comes to marketing. I am currently testing facebook ads, so I will give the example provided a try. Thanks again. What do you use to capture emails and send an auto-responder with the correct content as seen here? There are a lot of tools out there! You can check out SumoMe for pop-ups to capture emails. You can also check out SendGrid or Mandrill.